The Van Winkle Law Firm purchased the "City Pride" bear at Historic Downtown Hendersonville's annual Bearfootin' Art Walk & Auction on Saturday, Oct. 22. The bear was sponsored by the Hendersonville Bar Association and designed by West Henderson High School visual arts students. Proceeds from the purchase benefit Pisgah Legal Services, a nonprofit law firm that provides free legal advice, pro bono attorneys and community legal services for underserved populations in Western North Carolina. Each year, local artists create one-of-a-kind artwork on Hendersonville's iconic bear statues to represent community nonprofit organizations. Proceeds from the auction benefit local charities. Over the years, the event has raised more than $220,000. "We were happy to participate in this year's Bearfootin' Art Walk & Auction and support the wonderful work of Pisgah Legal Services," said Caroline Knox, president of The Van Winkle Law Firm. 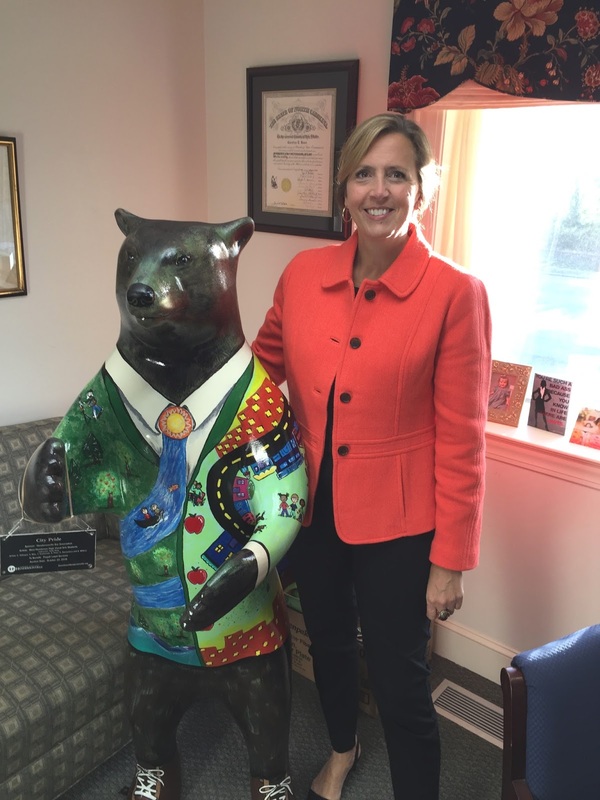 "The 'City Pride' bear will be proudly displayed at our Hendersonville office."